THE NEWLY DISCOVERED TOUGHEST AND MOST PRACTICAL MATERIAL - MetaModern Magazine, The Voice of Our Digital Meta Modern Culture. Have you ever wondered what the toughest and most practical material on Earth is? To answer your question the answer is, diamond. Recently scientists from the University of Cambridge have been trying to find an alternative material to diamond. The reason they are trying to discover this is because diamond is not very practical, although it is very useful when it comes to cutting material or being used as a tool, it is surprisingly very unstable. When this substance is heated above 800 degrees Celsius its chemical properties in air shift, and it begins to react with iron. You would certainly not want this to happen when constructing steel. For all of these reasons, this is why scientists started experimenting with different material to try and discover a more practical substance. The scientists started with boron nitride. This matter is using alternative synthetic material. Instead of being created of carbon, like diamond, it is made of a bond of boron and nitride. Unfortunately, the diamond is slightly harder than this material. After several experiments the scientist discovered a substances a little more practical. It is called Q-carbon, this material is enhanced because it is still in the carbon family. This is better only because carbon is known for its durability. 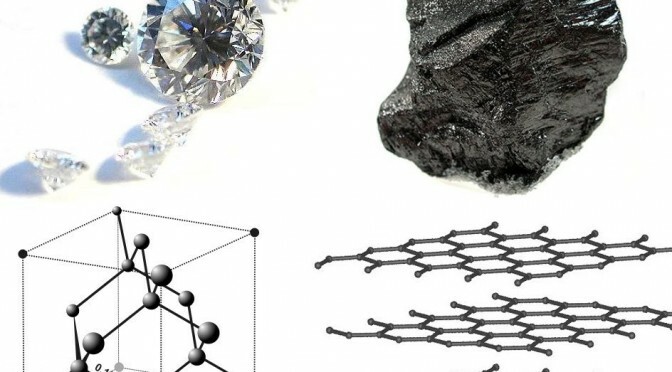 The way Q-carbon was made was by quickly heating it with a laser pulse of 3,700 degrees Celsius, then cooling, or quenching hence the name Q-carbon, it to form micro-sized diamonds. The only downside of this material is that it has unusual properties of being magnetic and glowing when exposed to light. Because of its amazingly small size, Q-carbon cannot be crafted into jewelry, but it can still be used as a coating material for cutting or polishing tools. After a long and exclusive experiment the scientists of North Carolina finally found a cheap replacement. This replacement is called Q-carbon. The discovery of a more practical alternative to the super material diamond has many possibilities for the betterment of science, business and mankind.